We're back from our holiday vacation with a new cover reveal, YABCers! Hello YABC! I'm SO excited to be here for the exclusive cover reveal of my book, FALLS THE SHADOW! Ahem. But seriously, my first thought when I opened the email containing it was simply: "Whoa.” I think it's positively striking, and I adore the boldness of it, the colors, etc... My agent rightly used the word “intense” to describe it, and “intense” is such a perfect adjective to describe the story inside, too, so I’m thrilled that this cover captures that so well. I can't wait to see the physical jacket, either; I imagine it's going to be even more striking once the letters and such have some shiny effects on them (I do love shiny things). Anyway, I hope you love this cover as much as I do! Intense? Sweet! Ready to see? When Cate Benson was a kid, her sister, Violet, died. Two hours after the funeral, Cate’s family picked up Violet’s replacement. Like nothing had happened. Because Cate’s parents are among those who decided to give their children a sort of immortality—by cloning them at birth—which means this new Violet has the same face. The same perfect smile. She even has all of the same memories as the girl she replaced. At least, that’s what the paparazzi and the anti-cloning protestors want everyone to think: that clones are violent, unpredictable monsters. Cate is used to hearing all that. She’s used to defending her sister, too. But now Violet has vanished, and when Cate sets out to find her, she ends up in the line of fire instead. Because Cate is getting dangerously close to secrets that will rock the foundation of everything she thought was true. Debut author Stefanie Gaither takes readers on a nail-biting ride through a future that looks frighteningly similar to our own time and asks: how far are you willing to go to keep your family together? After co-owning and managing a coffee shop for several years while simultaneously earning her B.A. in English, Stefanie Gaither left the small business world behind to focus on her author career instead. Now, in addition to penning YA novels, she also works part-time as a copywriter for an advertising agency. She lives in North Carolina with her husband and an incredibly spoiled Shih Tzu. 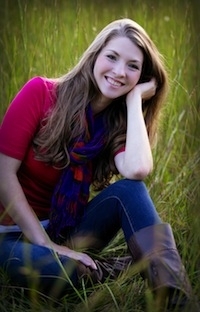 You can visit her online at www.stefaniegaither.com. One US/Canada winner will receive a signed ARC when they become available. THIS IS SO AWESOME! Yay, Stefanie, I love it! Beautiful cover, can't wait to read this. Not sure why it's not in the post. For those wondering, here's the Goodreads page for this fantastic book! 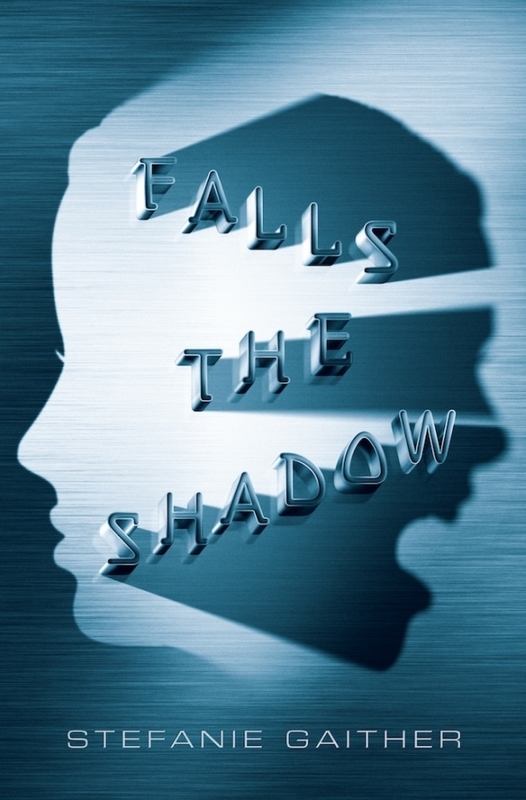 : https://www.goodreads.com/book/show/17559487-falls-the-shadow Not sure why it's not in the post. Love the cover--the reverse-shadow scream is awesome! I really like the silhouette of the two faces! I like the double face and the 3D lettering. I really like the complexity!